By 2100, the majority of inhabitants of the world will live in Africa. This is a challenge for the continent, strongly mobilized in Marrakech to define the strategies to negotiate this transition. It is in this context that UCLG Africa and the OECD through Club Sahel and West Africa have created this tool. Two thirds of Africa’s wealth is produced in cities that increasingly shape the continent’s economic, social and political geography. There is a continuing need to better understand urbanization, what it looks like today and what it means for the future. Clearly, whilst other data is limited to administrative divisions, Africapolis takes more into account: the dynamics of towns where consideration must become essential, for a proper assessment of public policies. Produced by the Sahel and West Africa Club (SWAC / OECD) in collaboration with e-geopolis. org , Africapolis is the only comprehensive and homogeneous geospatial database on cities and urbanization dynamics in Africa. Combining national population data, satellite images and aerial and other cartographic sources, it is designed to allow for comparative and long-term analysis of urban dynamics, covering 7,500 agglomerations in 50 countries. Africapolis provides population estimates at the level of individual agglomerations, systematic geolocalization as well as data concerning the development of these agglomerations from 1950. The data highlights the role of small towns and secondary cities in urban networks, the emergence of new agglomerations, and the increasing fluidity of exchanges between urban and rural areas (hyper-rural territories – meta-urban areas). 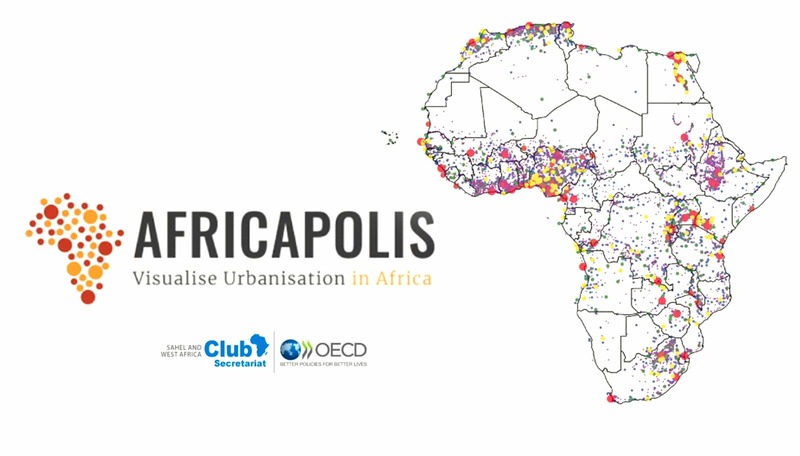 Mayors and local authorities are invited to contact the Sahel and West Africa Club (SWAC / OECD) to express additional needs that Africapolis may consider.